Key skills: Fish and aquatic ecology, mathematical and statistical modeling, ecosystem modeling, catch estimation, data synthesis and analysis, research and technical writing, programming in R, and development of Adaptive Management plans, monitoring plans, and Environmental Assessments. 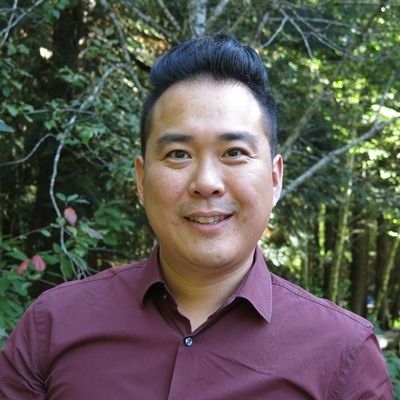 Dr. Brian Ma’s work focuses on understanding and developing innovative solutions to problems in fish and fisheries sciences by applying mathematical and statistical analysis as well as decision-support tools. A large portion of Brian’s work supports the Strategic Framework for Fishery Monitoring and Catch Reporting for Fisheries and Oceans Canada including high-level strategic support for the implementation of the framework in commercial salmon fisheries including a review of the catch verification pilot program, developing novel statistical methods for estimating catch in recreational and First Nations Food Social and Ceremonial fisheries (for lower and upper Fraser River, and South Coast Vancouver Island), and supporting the integration of fisheries data and analysis into a unified database and tool box to store catch data and produce catch estimates (e.g., Kept and Released Estimate Survey Tool – KREST, MERCI). Brian also focuses on writing and supporting hypothesis-driven adaptive management plans, environmental assessments, and monitoring plans using conceptual models, mathematical and simulation ecosystem and single-species models, study designs supported by statistical analyses (e.g., power analyses), and the development of decision support tools to help decision-makers. He has performed this work for BC Hydro (Site C Clean Energy Project, Seven Mile hydroelectric facility), the United States Army Corps of Engineers (Missouri River Recovery Program – focusing on pallid sturgeon), and the U.S. Depart of Agriculture (USDA) (Deadwood River bull trout and ecosystem modelling). Brian holds a B.Sc. in Biological Sciences majoring in ecology and evolution from the University of Calgary, where he worked on population dynamics of Sage Grouse in Alberta; a M.Sc. in Zoology from the University of Toronto working on diet choice rules in one-predator-two-prey communities; and a Ph.D. in Biological Sciences at Simon Fraser University, where he worked on how behavioral responses of African mosquitoes (Anopheles gambiae) can affect the spread of parasites leading to malaria in humans. Before joining ESSA, he was a NSERC Postdoctoral Fellow with Fisheries and Oceans Canada, sharing time between the Pacific Biological Station in Nanaimo, BC, and the University of British Columbia in Vancouver, BC. During this time, he worked as an ecological modeller for a high-profile sockeye salmon genomics project, developing population models and Bayesian network models exploring the potential role of new technologies such as functional genomics on fisheries management. Brian’s background spans many terrestrial and aquatic ecosystems which allows him to apply his skillset to a wide range of ecological problems.